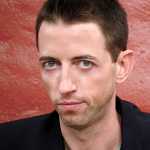 Neal Brennan is a writer, director, comedian, and co-creator of Chappelle's Show. Neal is currently performing his one-man show "3 MICS" at The Lynn Redgrave Theater through March 13th. Hollywood is harder on black people in pretty much every way. Straight Outta Compton: black men in their early 20s revolutionize music. 42: Jackie Robinson overcomes racism to become the first black major leaguer. Race: Jessie Owens demolishes Germany in the Olympics, killing Hitler’s notions of white supremacy. Joy: a white lady invents the Miracle-Mop. The conventional wisdom—what I&apos;ve heard—is that films starring black actors don’t get made because black actors don’t have international box office appeal. Since the DVD market collapsed, studios are now more dependent on international territories than ever before. Now, I have no reason to believe this isn’t true. Whether or not black actors have international appeal, I simply don’t know. But here’s why I think fewer black films get made: white people are not as comfortable making them as they are making their own films. Films are cultural reflections, and many white people feel out of their depth making films about black characters and/or culture. I work a lot with black comedians and musicians and actors. And white people rib me about it. They’ll ask me questions like, “Do black people still say (insert slang phrase)…?” I chuckle it off, but it&apos;s really a testament to their discomfort. I’m comfortable working with black colleagues because I have scores of black friends, and know that the difference between my experiences and theirs is negligible. What it really comes down to is fear—there&apos;s a fear among white creators when it comes to making black films. Those creators are afraid to ask a naive question, make a stupid suggestion, or worse still, say or do something RACIST. That’s a liberal white person’s worst nightmare, being called racist. So, for the most part, they just don’t bother making the effort to produce black films. The thing they fail to realize, is that that&apos;s more racist than anything they could ever do or say on a set. I will say things are getting better because of the diversification of America and a clear mandate from audiences demanding less whitewashed casts. The fact that the Fast and Furious franchise is about to make their tenth installment doesn’t surprise me at all, but is immensely positive. It’s the rare franchise featuring a cast that actually looks like its audience. Improvements are also being made because of more diversity in positions of power. This is especially obvious in TV. Shonda Rhimes is kicking down door after door, trailing money wherever she goes. It’s black/female money, but whatever, it’s a start. And it&apos;s too big to ignore. Chris Rock said to me that he feels like he’s finally seeing the influence he and Dave Chappelle had in terms of the type of black person who is succeeding in stand-up today. Hannibal Buress and Jerrod Carmichael weren’t possible twenty years ago. They would have been considered too quiet and idiosyncratic to succeed as black comedians on the scale they are now. But Dave and Chris open up the possibilities and voila, it’s easier for Hannibal and Jerrod. That’s progress. Like anything good, the process is going to take a while. It&apos;ll most likely take generations. But it is happening. This essay is part of Complex&apos;s Racism in Hollywood series.